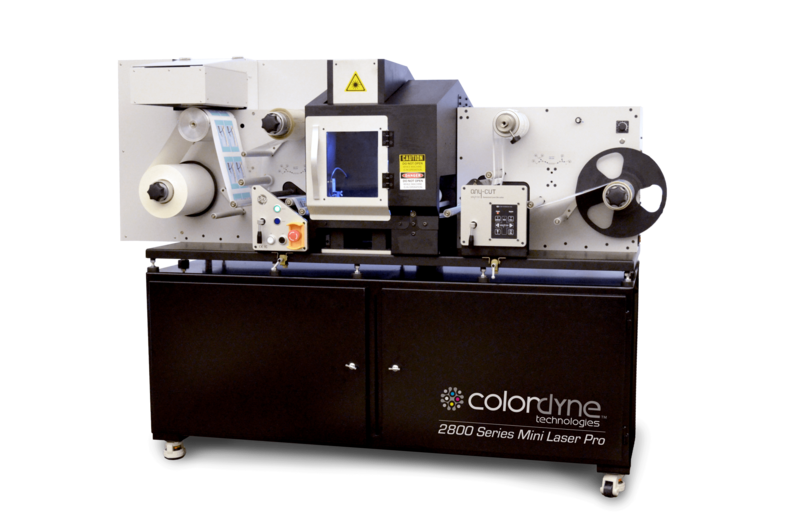 The Colordyne 2800 Mini Laser Pro is the latest in digital label printing technology. The 2800 MLP gives customers the ability to digitally print high resolution labels using a Memjet print engine, and then finish those labels in-line using our tried and true Anycut laser finishing system. Print and cut full color, high resolution images with the click of a button. With the ability to laminate and pull matrix all in-line, producing your own labels has never been easier. Perfect for any type of consumer labels, such as food labels, cannabis labels, e-juice labels, and much more! The Colordyne 2800 MLP allows customers to print high resolution labels with the click of a button. This complete printing and finishing system allows users of all skill levels to print and finish their own labels in seconds. Integrated printing and finishing software allow for one click to go from printing to finishing labels with ease. No need for expensive die plates or minimum order quantities with the 2800 MLP! This complete system allows companies to lower their label costs substantially by bringing the process in-house. Full color, high quality labels have never been easier to create than with the 2800 MLP! Contact us today for more information!